Actor Vishal will be seen playing the lead in Venkat Mohan-directed Ayogya, the official remake of the 2015 Telugu film Temper. The actor is currently shooting for an untitled Sundar C project. The filming is taking place in the exotic locales of Cappadoccia, Turkey. And guess which popular filmmaker visited the crew during the film's shooting. 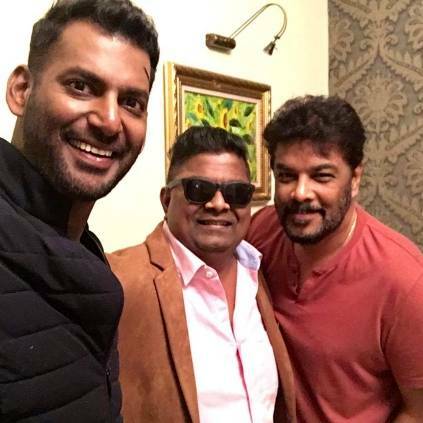 Director Mysskin, who was last seen donning the role of a priest in Thiagarajan Kumararaja's Super Deluxe, had recently paid a surprise visit to the film's team in Cappadoccia. Upon visitng the sets, Vishal has also confirmed that he will be teaming up with the 'Anjaadhey' director for the sequel of the 2017 detective mystery, Thupparivalan. Mysskin is currently helming the Udhayanidhi Stalin-starrer titled Psycho and will also be seen playing a main role in the Ramprakash Rayappa-directorial Suttu Pidikka Utharavu. Stay tuned for more updates. People looking for online information on Mysskin, Sundar C, Vishal will find this news story useful.